Compare air conditioner brands Kelvinator, Mitsubishi Electric, Fujitsu General, Daikin, Panasonic and LG on reliability, value for money, ease of use, functionality, quietness and overall satisfaction, with Canstar Blue’s 2018 air con review & ratings. Kelvinator has topped Canstar Blue’s customer ratings for air conditioners. Kelvinator achieved five-star reviews on reliability, value for money, ease of use, functionality, quietness and overall satisfaction. Most Aussie families either have an air conditioner in their home, or just wish they had one. When you live in a hot weather climate, air conditioning simply becomes a part of life, and preparation is key to your cooling needs. Whether you’re at the start of your air con search, or just looking for the final nod of approval for a particular brand, you’re in safe hands here. 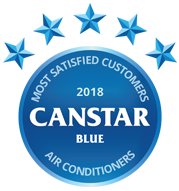 Canstar Blue’s annual air con review and ratings have been helping Aussies pick the best air conditioner for their needs since 2011. Rating brands on factors including reliability, functionality, ease of use and value for money, we’ve taken the guesswork out of buying a new air conditioner. With the real-world experiences of hundreds of households behind them, our star ratings provide a helpful guide to which brands are keeping their cool when times get hot. No two air conditioners are the same, but choosing the right brand gives you the best chance of bagging a bargain. It’s worth mentioning that our ratings incorporate all types of installed air conditioners – split system (including reverse cycle), window and central/ducted. If you’re looking for guidance on portable air conditioners, head over here. This year, Mitsubishi Electric, Fujitsu General, Daikin and Panasonic all rated four stars overall, while LG scored a three. Another result of note is Mitsubishi Electric achieving five stars for reliability, suggesting it’s also a trusted brand among Aussies – and who knows more about air conditioning than us? 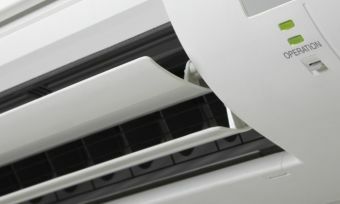 For further guidance on which air conditioner might be the best fit for your home – and details on what to look for when buying a new one – read on as we review what each brand currently offers. We’ll also look at some other notable brands not included in our 2018 ratings. Part of the Electrolux Group, Kelvinator is one of the most budget air conditioner brands. It features both split system and window/wall air conditioners with numerous models on offer from 1.6kW to 8kW of power output. Most of Kelvinator’s split system units can be had for less than a $1,000, with some as cheap as $479. As you would expect from their prices, features are relatively modest, but most models come with a 24 hour timer and an auto restart. Many of the split system models also feature concealed dimmable digital displays, HEPA and ion filters, as well as LCD remotes. You can expect energy-efficiency ratings of two stars for most of the window/wall air conditioners, while the split system models range from two to four stars. There are a few 2.5kW models, however, boasted for five-star energy-efficiency ratings, ideal for smaller rooms. Kelvinator took out top spot in our 2018 air con ratings, with five-star reviews for overall satisfaction and every other category. That’s a fantastic result against the biggest brands in the game – and suggests you can bag a great unit without breaking the bank. Covering both domestic and commercial sides of the Australian market, across wall-mounted, ducted, console split, bulkhead, ceiling mounted and multi-head systems, Mitsubishi Electric is a one-stop shop for every kind of air conditioner. If you’re bored of the traditional white finish, some models come in a black or silver design for something different. 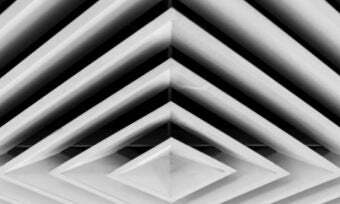 Wide and long airflow patterns from specifically designed horizontal vanes help push air further into the room. The Mitsubishi Electric wall-mounted range offers both ‘premium’ inverter and standard ‘classic’ single speed compressor versions. Different models offer focuses on different features, such as the MSZ-GE series which operates extremely quietly – as low as 19dBA. Wi-Fi control (available with compatible models) allows you to connect through your smartphone, tablet or computer, so there’s no more fumbling around for the remote. Some models are even potentially DRED compatible. The Catechin air cleaning filter is claimed to prevent the spread of bacteria and viruses, as well as generally improving the air quality, while the Plasma Duo Filter System adds filters that remove odours. Mitsubishi Electric’s wall-mounted systems can be picked up for less than $1,000, with prices ranging to just under $4,500. Mitsubishi Electric was rated four stars overall in this year’s review, as well as in all other categories except for reliability where it received five stars. 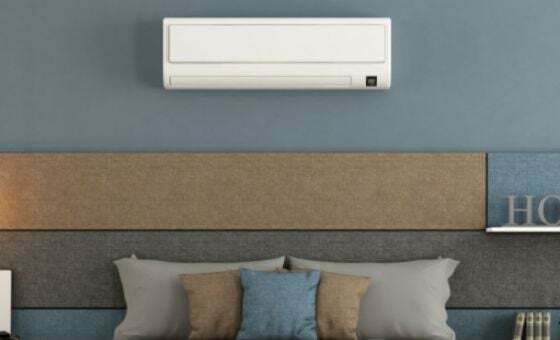 Fujitsu General produces almost every kind of air conditioning unit that you could want, including wall-mounted, multi type system, ducted, cassette, ceiling and floor. Within its offering for the most popular type (wall-mounted), there are three ranges to choose from – Classic, Lifestyle and Designer. In each, a choice of reverse cycle or cooling-only options means that you can save the money you’d otherwise be paying for nothing if you don’t want the heating program. Fujitsu, like most brands, has offerings priced under a grand, but at the other end of the spectrum offers pricier units costing over $4,000. The Classic range is apparently designed to be quick, efficient and easy to use. The Lifestyle range is Fujitsu’s most energy-efficient, with some models nabbing a five-star energy rating, while coming in a stylish, standardised style, so the whole home matches. The Designer sits at the higher end of the range, with a sleek, modern finish and extra features. Across the three ranges, many models include a ‘human sensor control’, which automatically turns the air conditioner off if there’s no detected movement for 20 minutes. When someone re-enters, the sensor picks up the movement and switches the air conditioner back on. No more accidentally leaving the air con on all day when you rush out the door! Additionally, some models feature built-in wireless LAN interface, allowing you to remotely control the air con. Fujitsu General was rated four stars overall in 2018, with four stars across the board, except for ease of use where it received three stars. Across the Daikin air conditioning range there is an even spread of wall-mounted split system, multi spit system, and ducted air con models. Within the split system line up, the six different models offer more choice than first meets the eye, as each system comes in a few different varieties with varying features, including a choice of reverse cycle and cooling only, or add-on Wi-Fi capability. Notably, the US7 has an astonishing seven-star ‘Super Efficiency’ energy rating, while all Daikin air purifiers and split systems are approved by the National Asthma Council Australia and labelled as a ‘Sensitive Choice’. In addition to the traditional wall-mounted design that sits up near the ceiling, a version that’s more accessible can be mounted down near the floor. A Daikin split system air conditioner can come in at under a grand, or up to nearly five, depending on how many features your budget can accommodate. However, Daikin is generally considered to be a leading brand in the air con world, previously topping our customer ratings and this year earning a respectable four stars in most research categories, but only three in terms of value for money and quietness. Well-known for quality home electronics, Panasonic’s air conditioners are said to be designed to meet the same very high standards. The range includes reverse cycle, cooling-only inverter, inverter multi split, ducted, cassette, and under ceiling air conditioners. In the wall-mounted category, consumers can choose from nearly 30 different models. Some include Panasonic’s ECONAVI feature, which detects human activity and sunlight to automatically adjust to reduce energy consumption. For example, it will reduce output if it detects that you’re just sitting there reading or watching TV, as opposed to doing something more active, like exercising or cleaning. The Panasonic inverter design has variable rotation speed so that it can heat up or cool down a room faster during start-up, then slow down to maintain the set temperature. Across the range are various levels of filtering, deodorising and dehumidifying features to explore for optimal air quality. Panasonic air conditioners come with a slightly higher starting price than most other major brands – just over $1,000 – and you could pay in excess of $3,000 for its top of the line models. 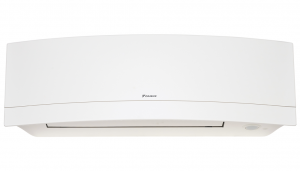 After being rated the top air con brand the past two years, Panasonic had to settle for four stars overall this year, as well as for reliability, ease of use and functionality. It was three stars in terms of value for money and quietness. Claiming to provide a wider operation range than regular air conditioners, LG offers six different wall-mounted, split system, ducted and multi split systems to choose from. All are reverse cycle and include the ‘Active Energy Control’ feature, which allows users to set a cap on the unit’s energy consumption to improve efficiency. LG air conditioners also offer four-way air control – both vertical and horizontal air flow adjustment. Wi-Fi Smart Control is available with compatible models as an optional add-on. Features to look out for in particular models include a sleep mode with ultra-low operating sound (19dbA), outdoor quiet mode – to reduce noise from the exterior unit – and multiple kinds of filtration and auto-cleaning systems. LG’s units can be found for around $1,000, with price points reaching over $3,000. LG was rated three stars in every research category in 2018. While the following brands did not receive the minimum sample size required to be included in our 2018 review, they may still be worth considering. Dimplex: Best known for its portable air conditioners and portable heaters, Dimplex is not to be overlooked when it comes to split system air conditioning systems. Promising a quiet operation and dehumidifier functions, you can expect to pay a little over $1,000. Midea: A specialist in the world of washing machines, Midea is also a mid-range brand of air conditioners. With prices ranging from as low as $800 to as high as $1,700, Midea covers all budgets and offers some useful features, such as turbo and sleep modes, plus a self-cleaning coil. Mitsubishi Heavy Industries: Not to be confused with Mitsubishi Electric, this is another brand carrying the Mitsubishi name. Mitsubishi Heavy Industries is a relatively premium brand that packs a punch with some powerful split system units to keep you cool in the summer months. Expect big cooling capacities, but also fairly high prices, up to and over $2,000. Samsung: With a focus more on ducted and commercial-grade air conditioning, Samsung offers just one model of domestic wall-mounted air conditioner. With an 8kW cooling capacity, turbo mode for maximum speed to reach the set temperature quickly, and an auto mode that selects the required operating mode (heat or cool) to reach and maintain the set temperature, you can expect reliable temperature control from your Samsung air conditioner. The Auto Clean feature will automatically keep the fan running on low speed for a while after the unit is switched off, to dry off the heat exchanger and prevent bacteria growth – sounds cool. When it comes to keeping cool, it’s not just about finding the cheapest air conditioner, but one offering the best value. Do you want an air conditioner that simply blasts cool air at you, or do you want one that provides a bit more in the way of features, energy-efficiency and usability? While it might mean paying a higher price, you can be certain that you’re spending it on additional benefits, which can save you in the long run in terms of your electricity bills. Australians who have bought and installed a new split system air conditioner in the last three years spent an average of over $2,400, our survey found. Buying an air conditioner is probably best thought of as an investment – an investment in your home… and your comfort. With that in mind, it pays to do your research. According to our review, energy efficiency (41%) was the second biggest deciding factor for consumers picking their new air conditioner, marginally behind price (47%). It was found that two in five (40%) have an air conditioner with three to four stars, while the more energy-efficient models – between five and six stars – are owned by about one in five (22%). 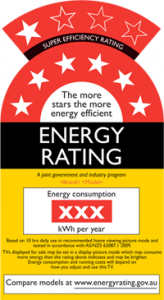 Typically, the higher the energy rating, the higher the upfront cost. However, it can help you reap the rewards later in the form of lower electricity bills. While appearance doesn’t seem to be an important factor for many – only one in 25 people (4%) said it was an important factor for them in our survey – you might still look out for specific styles that suit your home. There are several brands that tap into the black appliance trend such as Mitsubishi Electric, while others also have silver finishes if white is too ‘ordinary’ for you. Additionally, brands like Daikin feature curved front panels for a stylish and elegant design. Certain models are boasted for their smart features and more brands are getting on board with this. 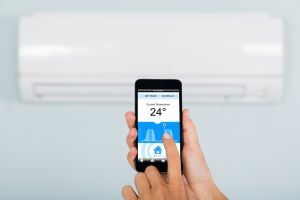 Functions such as Wi-Fi connectivity are becoming increasingly popular, allowing your air conditioner to be controlled via a smartphone, tablet, online or as part of a home automation system. While this might not be a key factor, it certainly adds to the convenience of having the appliance, especially if you can remotely turn on the appliance on your way home from work. Which air conditioner brand is best for me? Kelvinator has now topped our air conditioner ratings, delivering on the reliability, functionality, ease of use and value for money that Australian consumers expect. However, it’s important to compare a wide range of brands and models before settling on a product that’s right for your home. Air conditioning capacity and energy-efficiency are perhaps the most important factors to keep in mind when comparing models. Ultimately, there is no point buying a system that is too large or too small for your property’s requirements. These are factors that will also have an impact on your ongoing energy costs. With power prices so high, energy consumption has never been more important. Buying a highly efficient model will likely cost you more up front, but it should save you money in the long run. You’re also likely to get an all-round superior model if you’re willing – and able – to spend a bit extra. When it comes to air conditioners, you typically get what you pay for. What that in mind, we hope our 2018 review has proved helpful in your air con search. Canstar Blue surveyed 3,000 Australian adults across a range of categories to measure and track customer satisfaction, via ISO 26362 accredited research panels managed by Qualtrics. The outcomes reported are the results from customers within the survey group who have purchased and installed an air conditioner in the last 3 years – in this case, 551 people. Australian summers can be unforgiving, so which air conditioner is best for you - a split-system or portable air conditioner? Canstar Blue’s review can help. 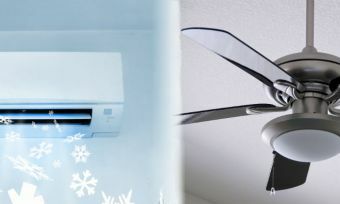 When trying to beat the heat, which are better – air-conditioners or ceiling fans? Compare both types of cooling with Canstar Blue. Everyone wants to reduce their power bills, but will buying a more expensive air conditioner save you money in the long run? Find out at Canstar Blue. To get maximum efficiency from your air conditioner, you’ll need to make sure it’s clean. Read the top tips for cleaning your air con from Canstar Blue.